In reality oak pretty much always comes into leaf before ash. In the last fifty years oak has always leafed before ash. It has not always been this way – in the 18th century when it was less mild ash did often flower before oak – thus the quote. 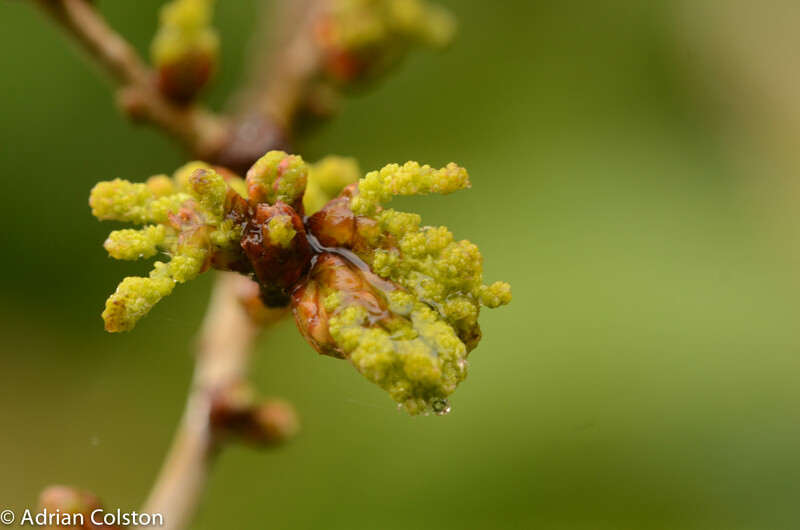 Climate change has changed all of this – usually oak leafs in late March-May which is about two weeks earlier than 30 years ago. 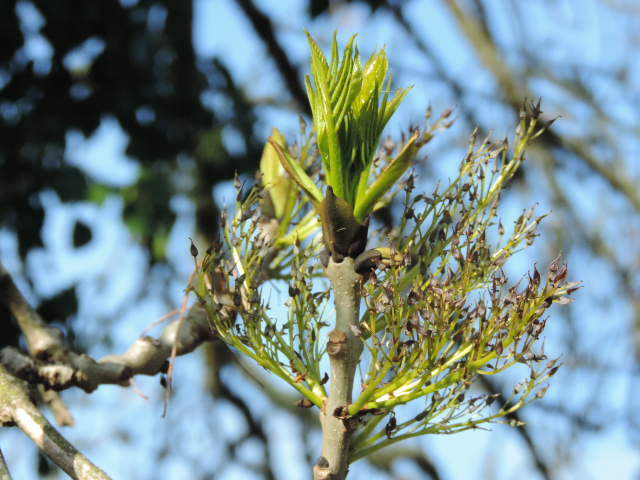 Ash usually leafs during April and May, about 7-10 days earlier than 30 years ago. I have 5 oak trees and a number of ashes. 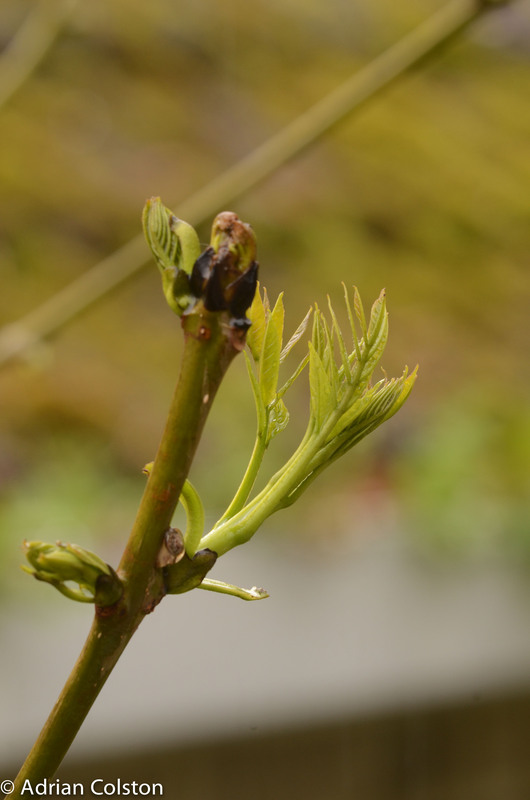 Four of the five oaks are just coming into leaf but so are all the ashes – it is a dead heat. I can’t really explain this as it has been a mild winter in a warming world so oak should have beaten the ash by quite a distance – any ideas? The demise of the ash tree? The Guardian ran a story today which stated that ash dieback and a beetle called the emerald oak borer was likely in the coming decades to wipe out Europe’s and the UK’s ash trees – see here. I have commented on this story before when I was reviewing Oliver Rackham’s book: the The Ash Tree – see here. I have also written about ash dieback before see here, here, here and here. This is the emerald ash borer – a native of Asia but now imported to North America and spreading across Russia – it will prove fatal to ash trees in Europe (Fraxinus excelsior) – if it arrives / when it arrives. 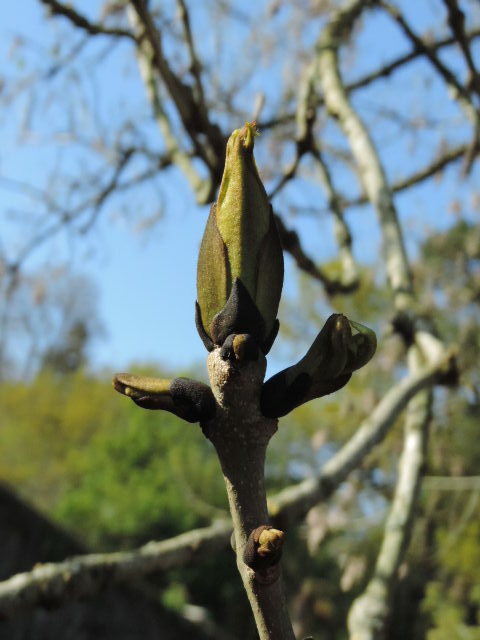 The report in the Guardian was based on a paper in the Journal of Ecology – ‘Biological Flora of the British Isles: Fraxinus excelsior’. The Biological Flora series of papers have been published for decades by the journal and provide a very detailed literature review of the ecology and biology etc of individual species of British plants. You can download this paper by Peter Thomas of Keele University here. It tells you everything you need to know about ash trees and a great deal more! Interestingly the Journal of Ecology also includes another paper on ash and ash dieback by Jessica Needham et al from Oxford University. Based on a study of the famous Wytham Woods near Oxford the paper models what the author believe will happen to the forest community in Britain as ash dieback increasingly takes hold. The paper suggests that ash has done well in recent decades out competing oak for light but as ash dieback stunts ash trees the sycamore (a non native) is likely to be the winning species. Again you can download that paper and read it yourself here. Nature over the coming decades has a lot to contend with – new fungal diseases, new insect pests and of course climate change – our cherished countryside will change for ever and we’ve only got ourselves to blame. 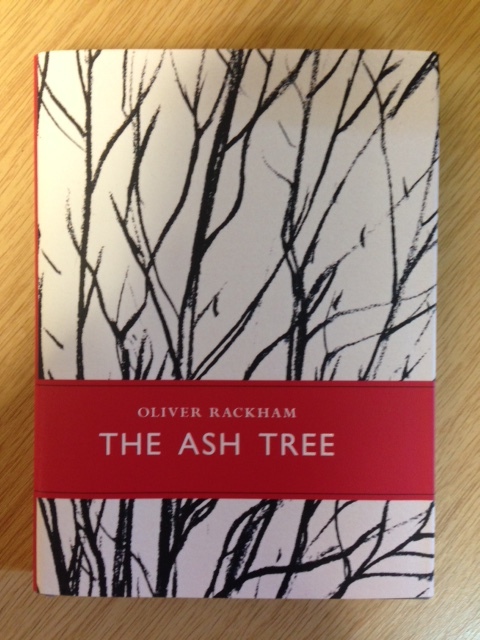 Oliver Rackham has published a new book – The Ash Tree. Oliver Rackham is one of my heroes – I have studied his work in great detail all of my career starting with his amazing book Ancient Woodland first published in 1980. Amongst the other classic books he has written are the History of the Countryside (1986) and the Collins New Naturalist – Woodlands (2006). For me he invented historical ecology (the study of the past to guide the future) and coined the phrase ‘factoid’ – an incorrect piece of information believed to be true because it has been incorrectly and repeatedly repeated. I had the privilege of going on one of Rackham’s Field Studies Council courses (based at Flatform Mill) in the 1980s and met him on and off at Hayley Wood when I was the Operations Director at the Wildlife Trust for Bedfordshire, Cambridgeshire and Northampton in the 1990s. Those familiar with Rackham’s previous work will recognise his style in the first four chapters of his new book: The ash tree: what it is and how it behaves; The ash tree in prehistory and history; Veteran, ancient and exceptional ash trees and Cultural, spiritual and material ash. These chapters catalogue in meticulous detail the rise of the ash over the centuries to a position where it has become one of our commonest and most resilient trees. I won’t try and summarise all the detail and stories – read it for yourselves and then consider what you have written as the definitive account. Chapters 5 and 6 (Pests and diseases & Recent past and future) see an altogether more irritated and frustrated Rackham. In these chapters he covers deer browsing (more deer in the UK than for 1000 years which have stopped ash (and oak and hazel etc.) 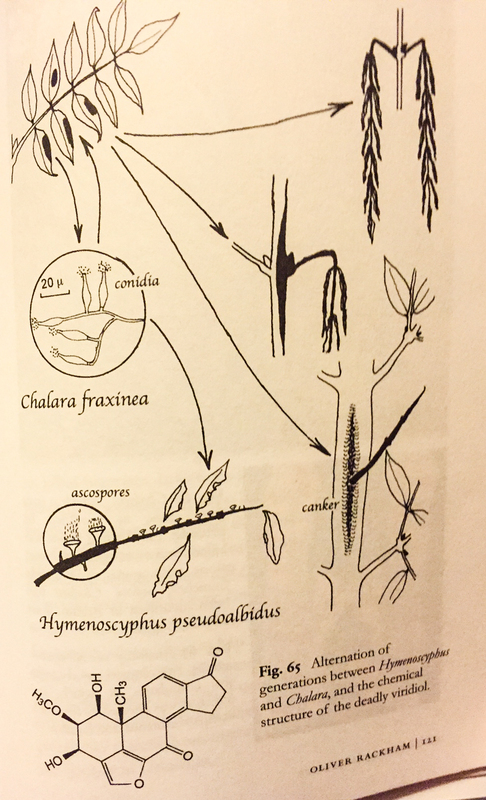 from regenerating; climate change – a phenomenon which is occurring but not one that will finish off ash and plant diseases including ash dieback (or ash disease as Rackham prefers). His insights into ash dieback are very interesting, for example why was the fungus so impactful in 2012 but not in 2013 or 2014? He suggests that ash dieback may be a problem in the UK but it is unlikely to be catastrophic but another pest the emerald ash borer beetle which is currently not in the UK will cause havoc if it arrives from the US (it originally came from the Far East). His message is that if we continue to trade and ship plants around the world as we currently do as if they were commodities such as ‘cars or tins of paint’ we will reap the whirlwind and our remaining tracts of historical ecology will be lost forever. The last two chapters are not a comfortable read but they are essential reading. Rackham is clearly tired of repeating this core message and is completely frustrated by governments’ and bureaucrats’ unwillingness to act. Rackham concludes ‘Homo sapiens have proved to be an increasingly unreliable guardian of the world’s trees’. Suggest you read this book – its publication will help us all avoid factoids. 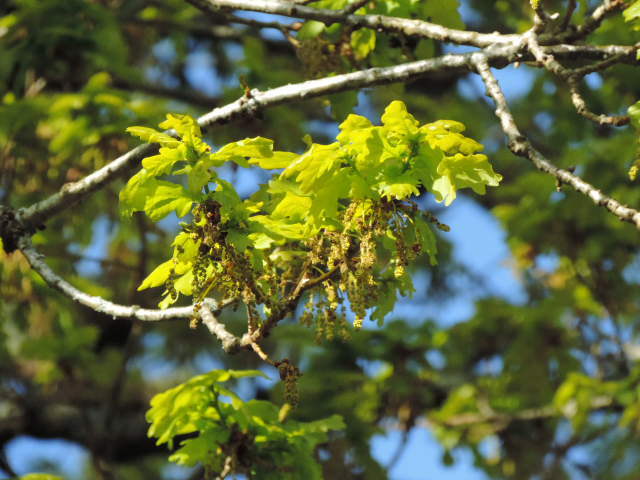 Oak before ash – what’s the summer going to be like? There are a number of ways of predicting what the summer is going to be like. Take your pick! Since the BBQ summer of a couple of years ago the Met Office hedge their bets a bit now – more of a curate’s egg perhaps – see here. So I guess it all depends whether you are ‘a glass half full or half empty’ person, an optimist or a pessimist, a realist or a dreamer – either way we can only hope……. What I do know though is that I am out Saturday and Sunday on our final 10 tors training session with the National Trust Wild Tribe – looks like rain and lots of it so I’ll prepare for that – waterproof coat and over trousers – never let the weather beat you!